The Burnaby Board of Trade is kicking off 2019 with a member contest! Share a picture or video of you or your business and tell us why you belong to our incredible business community and you could win some awesome prizes. The contest kicks off Friday January 25th and runs until February 15th. 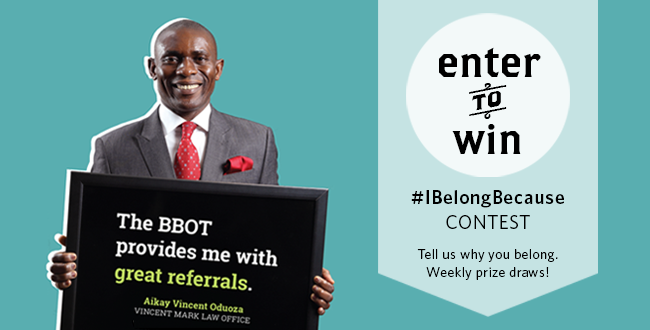 Post your testimonial to social media using the hashtag #IBelongBecause and tag the BBOT. A prize will be drawn every Friday for the duration of the contest.